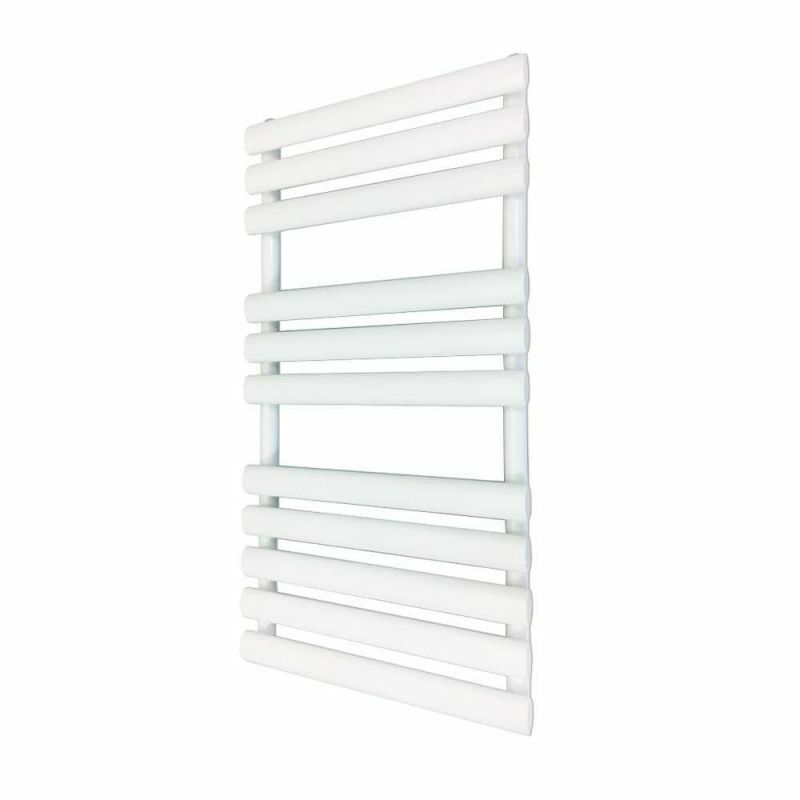 This 500mm (w) x 930mm (h) Brecon white designer towel rail has a high quality gloss white powder coat finish with 25x50mm horizontal oval tube bars for increased surface area, improved heat outputs and a designer finish. 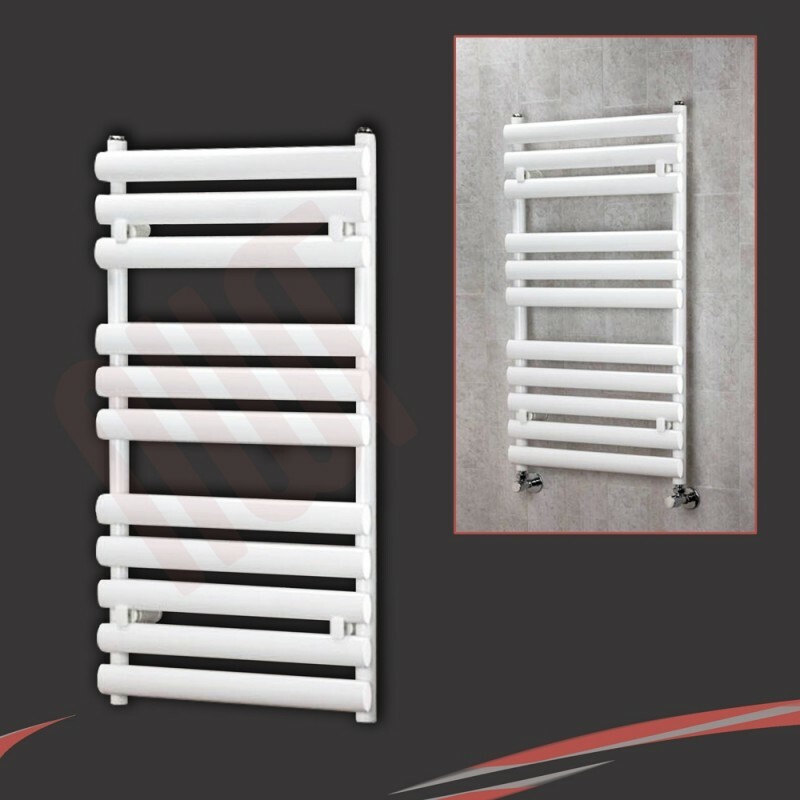 The Brecon towel rail can be installed on a central heating system, fitted as a stand alone electric unit or as dual fuel towel rail for maximum efficiency. Why Buy This Designer White Towel Rail? 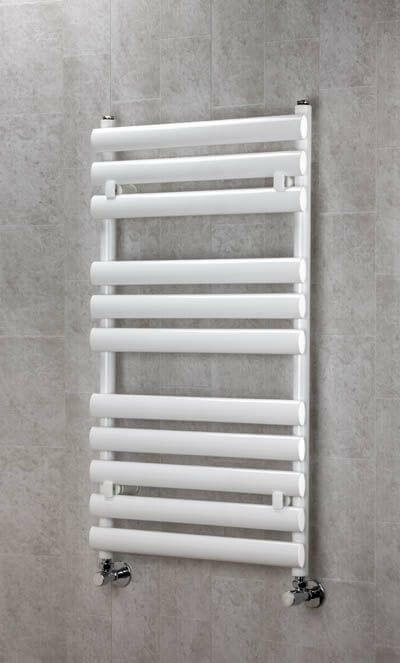 "The 500mm (w) by 930mm (h) Brecon White towel rail is the perfect upgrade to a feature designer towel rail. The white finish provides a modern yet classy addition of colour to any roomset. The large horizontal oval tubes create a greater surface for heat performance and also provide a chunky, quality looking finish. 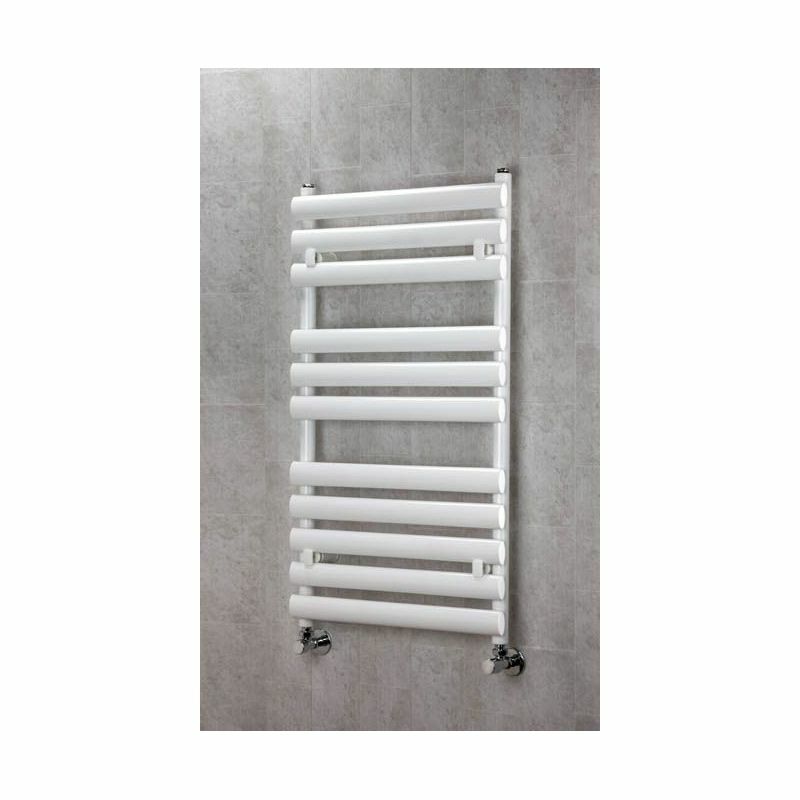 This model would be ideal for medium sized rooms where you want to make a feature of the towel rail." 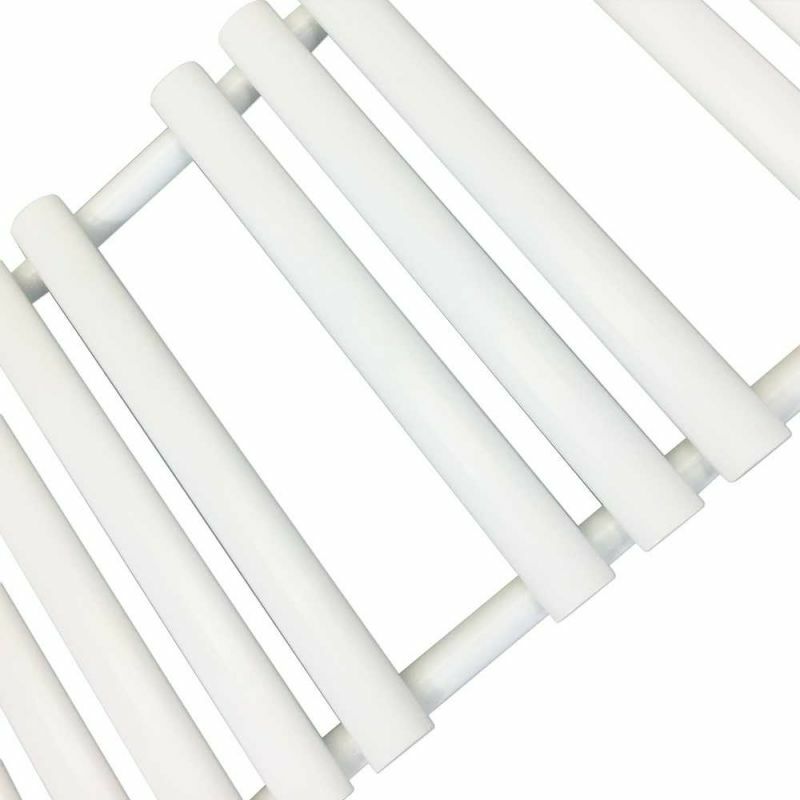 - The high heat output of our towel rails are achieved from the sourcing of high quality steel finished with robust powder coated paint finish.